Not only have we been supporting charities with their Digital and IT strategy for over 20 years, we understand the importance that fundraising can achieve for organisations who are making a real difference in society both locally and globally. The Penny Appeal is just one of those that supports the most vunerable in over 30 crisis-hit countries worldwide. Our very own Junior Network Technician Faisa, is embarking on a 3,560ft trek up Wales' highest peak Snowdonia on the 2nd March in the Walk for Water campaign, in order to raise funds for two wells across two villages in poverty-stricken Palestine. The walk itself is something that kids around the world do every day to reach water for their families. We wish her the best of luck and donations can be made by visiting Faisa's Just Giving page. Our Partners at Charity Finance Group held their IT & Digital conference, at which our very own CEO Mark Kemp was a speaker. Visit www.cfg.org.uk/IT19 to view the full programme and to book your place – charity CFG members also receive a discount. Making Tax Digital service to keep records digitally and use software to submit their VAT returns from 1 April 2019. As 2018 comes to a close and we look forward to the new year, we take a look back at the last 12 months, the new faces that joined our client base and team, new partnerships, our celebrated events and exciting developments within our portfolio. Is “cheap” software worth it? With digital now playing a major part in supporting most charities' missions, wise investment raises the questions - "How much?" "What to look out for?" and "Is cheap" software really worth it?" Searching for a technology partner you can trust and rely on can often feel overwhelming with so many options and companies available. This handy guide may give you some areas to consider when making that vital decision for your organisation. Cloud Computing for Charities – a recipe for change or chaos? With over 80% of Charitable organisations adopting technology into their strategy and the majority of software now "Cloud-based;" is the shift to this form of digital innovative or a hindrance? Can 'Cloud-Computing' really shape your organisation for the better? 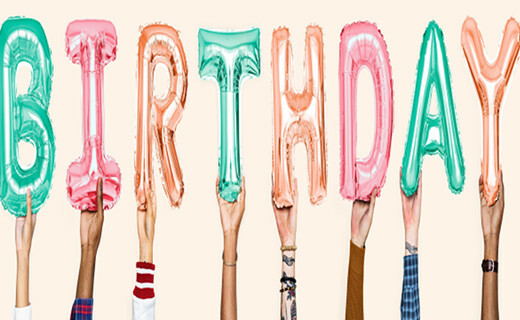 From humble beginnings back in November 1996, Gallery has grown from developing a Grant Mangement software for Charitable Trust Foundations to providing full IT solutions and Impact measurement software for over 200 organisations dedicated to making a positive change. Thank you to our clients past and present for your partnership and making the work we do worthwhile. Here's to another year of providing digital solutions and helping you make more of your mission. Our annual User Group took place on 28th September at the prestigious Cavendish Venues. 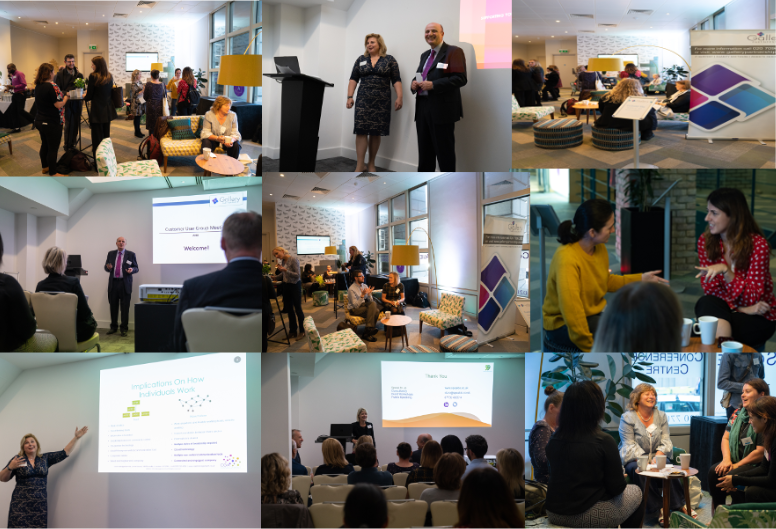 We welcomed our clients from our various product groups to come together and share hints and tips, whilst gaining insight into our latest news and future developments in all areas of portfolio. We were joined by two wonderful keynote speakers, Clare Richmond - Speakto and Christina Griffiths - CGA Management, specialising within the Third Sector, drawing from their experiences and providing insightful discussion around community engagement and exploring your teams dynamic to reach your organisations full potential. The day was a great success and we look forward to hosting another event in the near future! 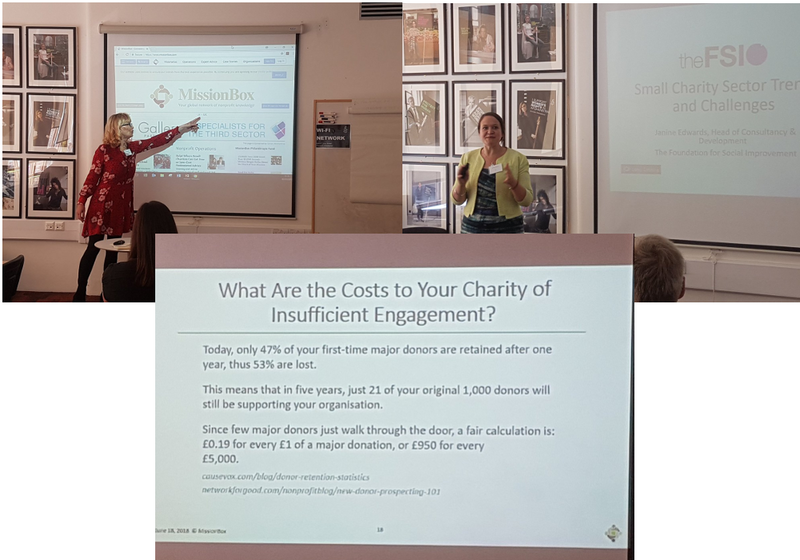 Our partners at MissionBox held a localised event on July 3rd, inviting those from small to medium sized charities to discuss the challenges they face engaging with their audience and board members, common trends within the sector, the necessity for engagement and how to make a positive change. We were fortunate enough to have Janine Edwards, Head of Consultancy & Development from the FSI and Mission Box CEO & Founder, Kathryn Engelhardt-Cronk, speaking on the day. MissionBox also announced the launch of Engagement CommunitiesTM a robust, secure, personalized community-building software platform focused specifically on skyrocketing nonprofit and charity supporter engagement.